New modern fashion and Lusatian design drawing on the elements of traditional Sorbian costumes and Lusatian folk art do not represent a contradiction but a commitment to the area, to home. 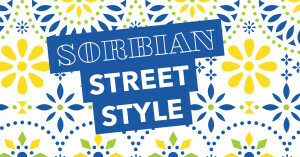 The competition, which is to support young Lusatian fashion design “SORBIAN STREET STYLE”, and the exhibition of the same name by Sorbisches Museum in Bautzen are meant to set a trend and example for Lusatia, which, in the face of structural and demographic change, needs new concepts and ideas. Besides established designers and fashion creators, young artists and designers, not only from Lusatia but from Germany and the Euroregion Neisse-Nisa-Nysa, are to be given a platform. The competition for young fashion creators and artists, aged from 18 to 35 years, is a cooperation project organised by Volksbank Dresden-Bautzen eG, Sorbisches Museum in Bautzen and the Centre for Cultural and Creative Industries Saxony, running from 1 February 2019 until 31 May 2019. The prize money for the three winners is provided by Volksbank Dresden-Bautzen eG, the Newcomer Prize is sponsored by Sorbisches Museum. 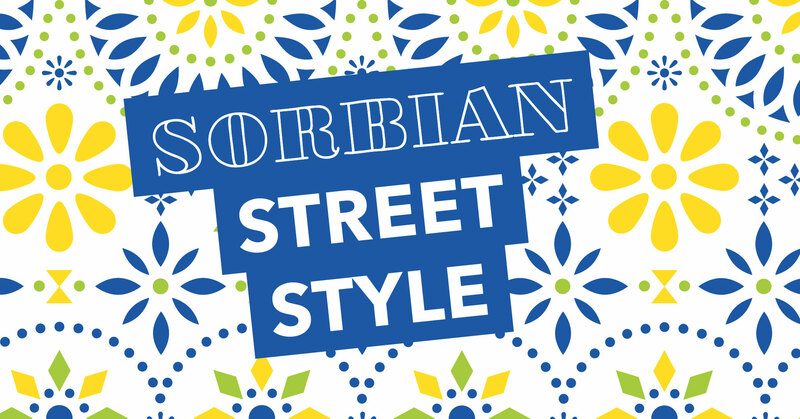 In the exhibition “SORBIAN STREET STYLE” at Sorbisches Museum in Bautzen, open from 22 September 2019 until 1 March 2020, and in the accompanying catalogue as well as across the network of the Centre for Cultural and Creative Industries Saxony, winning products and collections will be effectively promoted.